In need of some Memorial Day weekend outfit ideas? 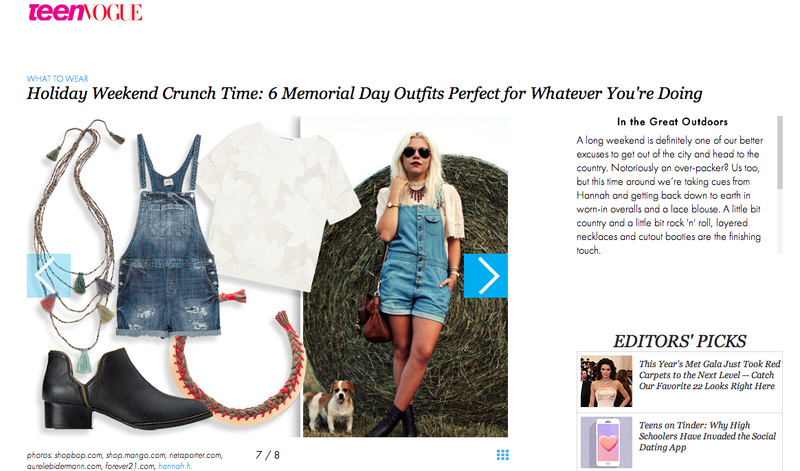 Check out the collage Teen Vogue featured on their website inspired by a previous outfit post of mine. In my opinion, overalls are always a solid choice for any fun summer festivities. Click here to see the full slideshow to gather more inspo. And happy long weekend!